Our aim at Parkside Primary School is to encourage in our children the enjoyment of learning by providing activities both in and outside the classroom which help to develop confident, happy and successful individuals. We feel that all children have talents which can be developed and that all can succeed no matter what the level of their ability. Providing equality of opportunity irrespective of race, gender, religion or disability for all our children, is an important aspect of our personal and social education policy which permeates all aspects of life in our school. If any parents of pre-school children would like to visit please do not hesitate to make an appointment. 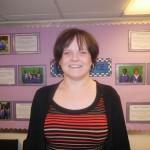 We look forward to welcoming you and your child to Parkside Primary School. We would like our web-site to be a window into our school, and we are anxious to provide parents and children with pages which will be useful. If you have any suggestions as to what you would like to see on the web-site please feel free to let us know. Thank you for your continuing support for Parkside Primary School.